Pentel Arts Oil Pastels 50 Color Set $5.99 PLUS FREE Shipping With Prime! Down From $10.99! You are here: Home / Great Deals / Amazon Deals / Pentel Arts Oil Pastels 50 Color Set $5.99 PLUS FREE Shipping With Prime! Down From $10.99! If you are an artist, or you know a budding artist, you are going to love this deal! 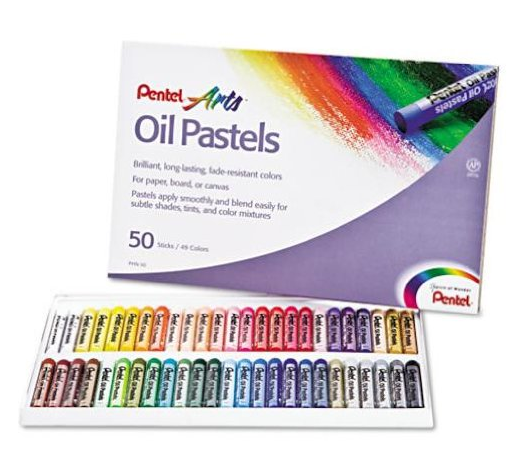 Get this Pentel Arts Oil Pastels 50 Color Set for $5.99 PLUS FREE Shipping With Prime! If you have an Amazon Prime membership, you can get FREE shipping, too! If you don’t have an Amazon Prime Membership, you can try one FREE for 30 Days!